An Animals Asia rescue team has just arrived in Binh Duong province to end the misery of six caged bears and bring them home. YOU can help. Chained in cages for at least 12 years, the three male and three female bears will face an epic 1,500km journey overland to Animals Asia’s sanctuary in Vietnam’s Tam Dao National Park, which is home to 170 other bears. The rescue team plans to remove each bear from his or her cage individually and transfer them into a transport cage which can then be placed on a truck. An Animals Asia vet will be on hand to oversee what’s being called the “Wish Come True” rescue with a vet nurse and a bear manager providing support throughout the long trip home. Each bear has been microchipped, suggesting they have been on the farm since at least 2005 when Vietnam introduced legislation to ban the extraction of bear bile. The legislation allowed farmers to keep their bears as long as they signed a declaration to no longer draw bear bile and microchipped their animals. Bear bile has long been prescribed as a traditional medicine to remedy ailments ranging from liver problems to haemorrhoids. The Animals Asia team is expected to arrive at the Vietnam Bear Rescue Centre - around an hour north of Hanoi - on Monday December 11. The bears will then start a 45-day quarantine before embarking on a rehabilitation programme that will hopefully culminate with them living in large, semi-natural enclosures alongside other rescued bears. The six bears are being voluntarily handed over by the owner of the farm, Nguyen Tien Ngoc, a businessman who over the past decade or so has had a change of heart about farming bears. Originally from a bile farming hotspot near Hanoi, Tien decided to farm bears when he moved south to Binh Duong province - until he was made aware of the cruelty of the trade by Animals Asia and other animal welfare advocates. 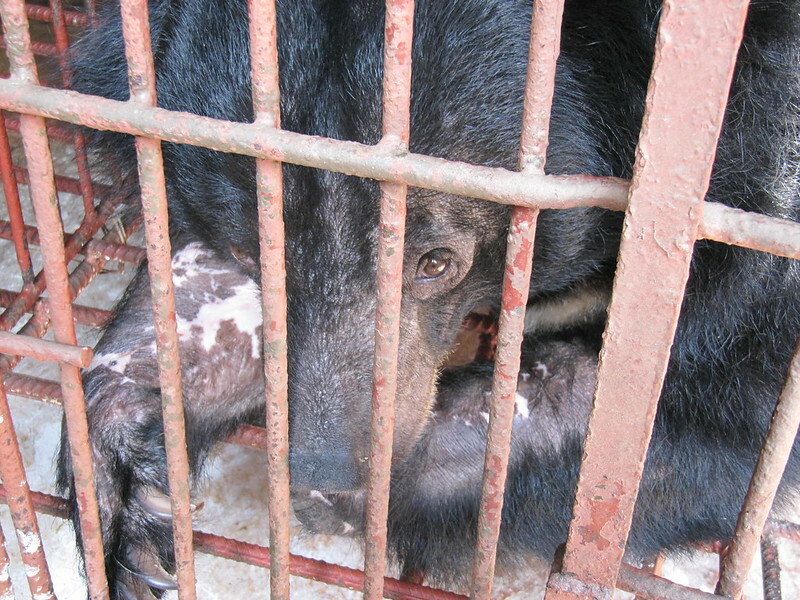 In 2011, Tien entrusted 14 bears he owned to Animals Asia. But other bears remained on the site as they were jointly owned by other business partners who refused to give them up. After years of trying, Tien has finally persuaded them to do the right thing and hand a further six bears over to Animals Asia. Leading the rescue is Animals Asia Vietnam Director Tuan Bendixsen, who has taken part in the rescue of 186 bears. “The owners of these bears could have sold them to other investors - possibly other farms in the same province - but they chose compassion instead. For that, we are grateful, even though our hearts were breaking when we had to leave this group of bears behind in 2011. “We don’t know what kind of suffering an additional six years in captivity will have inflicted on them until we’ve carried out a complete set of health checks. Bears who have been caged for so long often suffer broken teeth from trying to chew their way through the bars of their prison. “Repeated extraction of their bile can damage their gall bladders permanently, which may require surgery to have them removed. Other common afflictions include dry, cracked paws, open wounds on the skin caused by poor diet and constant rubbing against the cage bars, as well as high blood pressure as a result of chronic stress and malnutrition. Animals Asia is sharing footage and pictures from the rescue to a timeline which can be viewed here. Supporters can also follow and share the updates via Twitter, Facebook and Instagram. Binh Duong, the province where the rescue is taking place, is a major hotspot for bile farming in Vietnam, behind only Hanoi and Ho Chi Minh City. According to the Central Forest Protection Department, in 2005, there were 317 bears in Binh Duong but by 2014, the number had plummeted to 155.